It was another encouraging evening at City Council this week. 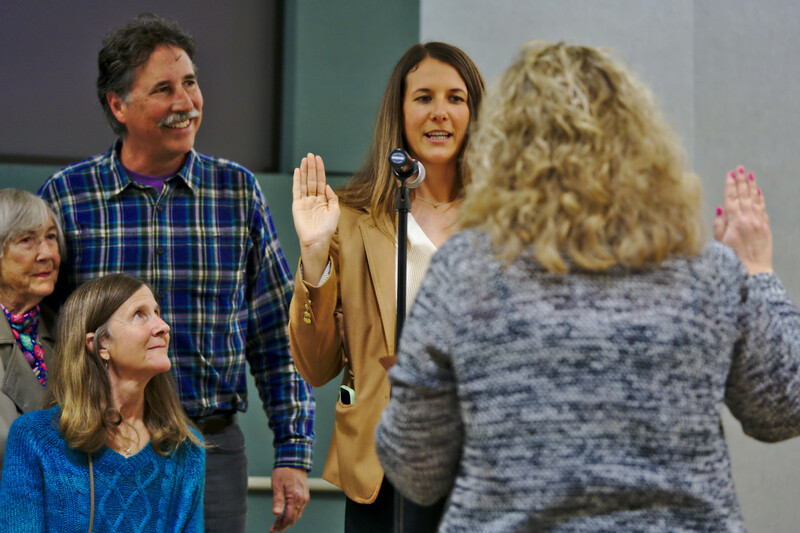 Our newest City Councilmember, Kellie Shay Hinze, was sworn in and participated in her first meeting, the city will begin improving dilapidated Leucadia parking in the rail corridor, and we confirmed that our city remains in excellent financial shape. What Happened: City auditors shared the positive results of the city’s Comprehensive Annual Financial Report. We have fully funded contingency and budget stabilization reserves, as well as $27.3 million in our unrestricted fund balance. And since the last annual report, Encinitas’ total net position increased by $4 million, from $319.4 million to $323.4 million. Future Liabilities: Like all cities involved in the state’s Calpers pension program, the City of Encinitas faces long-term unfunded pension liability. Ours is currently calculated at $56 million. In addition to paying the annual Calpers bill on this liability, we also send additional funds every year that are above and beyond what’s required, to chip away at the debt. The pension liability comes from multiple municipal sources – retired former employees from the city, safety departments and the water district. The city also has a $9.4 million obligation in a new category called, “Postemployment Benefits other than Pensions,” which is mostly comprised of retired employee healthcare costs. Why it Matters: The city’s short-term and long-term fiscal health is a top priority. The high-level functioning of every other aspect of our city depends on a solid financial foundation. I take management of our city’s finances seriously and I don’t minimize the severity of pension debt. As a city, we recently changed our policies and are no longer accumulating new pension debt; we pay off new employees’ pensions every year so that new pension liability doesn’t accumulate for future taxpayers. In the ’90s, many cities considered it sound financial policy to bet on a rising market to cover generous pension benefits. By the early 2000s, the folly of this plan became obvious. The state has reduced the Calpers pension benefits multiple times so that the plans are less generous than they used to be, and they require employees to work longer before collecting a pension. However, the City of San Diego is still struggling with a pension deficit of $2.76 billion! At an upcoming meeting, we’ll be discussing whether it makes financial sense to take another approach to paying down our existing pension debt while still operating critical government functions (like funding sheriff’s deputies and keeping parks open) and also investing in longer term capital projects. What Happened: Through a license agreement with NCTD approved by the City Council last week, the city assumed responsibility and control for large sections of the dirt in the rail corridor in Leucadia for city resident use. 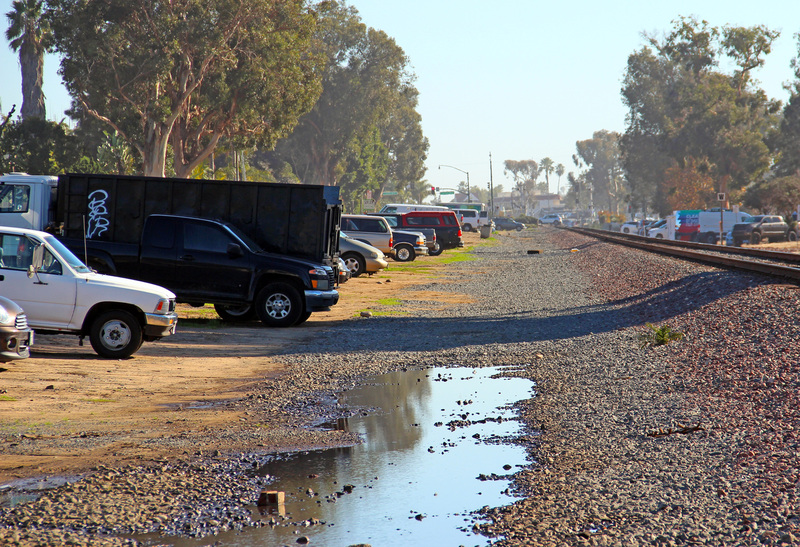 Why it Matters: Over time, the NCTD-administered rail corridor in Leucadia, especially on the east side of the railroad tracks, has begun to appear neglected. Many trees have died; deep water ruts have developed in the dirt; utility boxes block the walking path. We periodically receive complaints about goat head thorns popping bike and stroller tires. The entire area has been largely unmaintained and it feels that way. Now we’ve finally pushed beyond an impasse between NCTD and the city over liability, maintenance and control, and we’ve signed a license agreement with the North County’s train operator. I’m excited about the possibilities this opens up. We can legally allow parking to continue. (For many years it’s been technically illegal for residents to park in the rail corridor.) Now we’ll be able to maintain it properly by grading, filling ruts, installing wheel stops and signage, and adding crosswalks. Encinitas has a similar type of agreement with the California Department of Parks and Recreation concerning our blufftop ocean overlooks, and the improvement has been striking. This article in the San Diego Union-Tribune has a lot of good information and context. 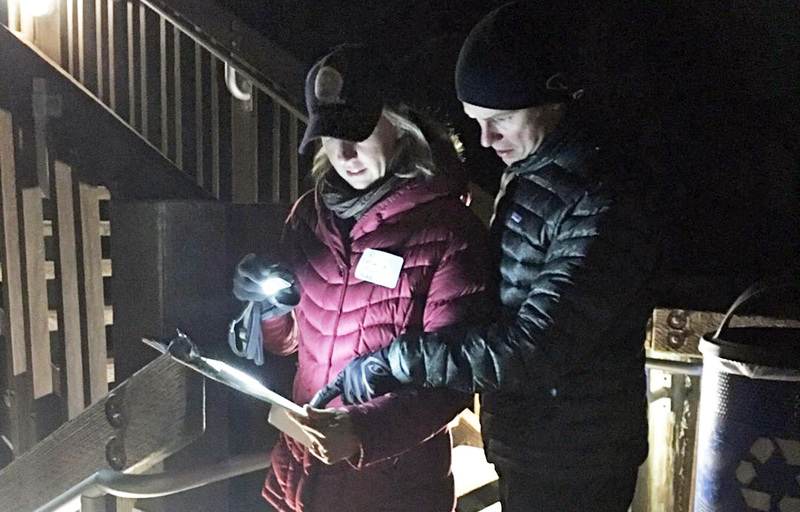 After checking to see if anyone was sleeping at the bottom of the Swami’s Beach staircase during the 2017 Point in Time count, my husband Jeremy and I are consulting the map. What’s Happening: We need 40 more volunteers to help count people living unsheltered on our streets at 4 a.m. this Friday, January 25. The Point in Time Count is the annual census of the people living without a home on our streets, in their cars, or in a shelter. Last year, 125 homeless people were counted in Encinitas. Why it Matters: Our neighbors living without permanent shelter are a major societal problem. We can’t meaningfully help solve a problem without understanding and quantifying it. The Community Resource Center in Encinitas is organizing the count for the 27 census tracts in Encinitas, Solana Beach and Del Mar and they need volunteers from all three cities. You can sign up to be a volunteer here. Once you’re in, elect “Encinitas” as the site. Then after you’ve signed up, watch this training video. I’m really grateful for the outpouring of community support in past years for this important effort. I hope our community can fill all 40 volunteer slots for this coming Friday. I’m proud to share that the City of Encinitas has partnered with the Community Resource Center to fund a “housing navigation” approach to help get our neighbors off the streets and into housing. Over the last three years this program has assisted 93 Encinitas households, including individuals, families and veterans, into housing. After participating in the Point in Time Count for several years, I’ll unfortunately miss it this year because I’ll be in Washington D.C., where there are three major things happening (besides the government shutdown!). First, I’m attending the 87th annual U.S. Conference of Mayors, where the nation’s mayors are focused on advocating for increased assistance from the national government on the infrastructure challenges facing many cities. In addition, we’ll be sharing perspectives and best practices as mayors. I find this gathering extremely useful. Additionally, as the vice-chair of SANDAG, I’ll be joining San Diego Mayor Kevin Faulconer and other SANDAG representatives in meetings with high-level government officials about the planned transit center to connect county residents to the San Diego airport. And finally, I’ll be meeting with officials about a future sand replenishment project for the beaches of Encinitas and Solana Beach that has been in the planning stages for many years. 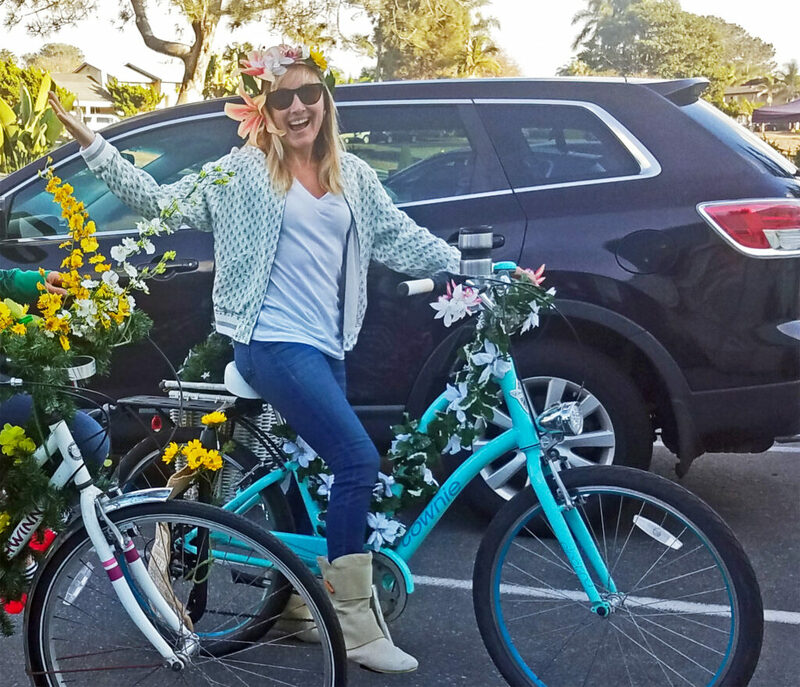 A GoFundMe account has been set up for Roberta Walker, executive director of the Cardiff 101 Main Street Association, who was critically injured when she was struck by a car while riding her bike on Highway 101 in front of the Leucadia post office on December 8. She remains hospitalized and astronomical medical bills are forecast. Her condition is improving but she has a long and difficult journey to recovery. The accident was a wake-up call for improving bicycling and pedestrian safety along the 101 in advance of the pending Streetscape improvements, slated to begin this November. Many of you who know Roberta are aware of what a force of nature and pillar of the community she is. Any assistance you can offer will be intensely appreciated. You can expect your next newsletter from me on February 10, after our next City Council meeting on February 6. P.S. 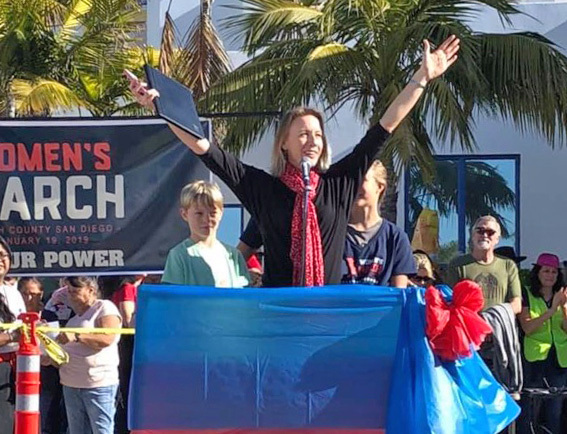 Yesterday, I enthusiastically welcomed residents to the Third Annual North County Women’s March in Oceanside. The rally’s unifying theme of “Reclaiming Our Power,” honors many of the same principles embraced by Martin Luther King, Jr., who will be celebrated with a national holiday on Monday. At the rally, the participants shared a commitment to the strength the comes from our diversity, a striving for a more just world and a passion for the pursuit of our founding document’s promise of a “more perfect union” for our country. We also celebrated the women newly elected to office in this last election, a group helping redefine what power is and should look like.